Take the "no shopping on Sunday" Challenge! 1) The Basilica - The night before the March for Life, US Catholicism's biggest Mass of the year takes place. Typically the Mass features 5 or more Cardinals, 50-100 bishops and hundreds of priests and seminarians. The opening procession now lasts between 35-40 minutes. There is nowhere to stand, as the Basilica is converted into the D.C. Fire Chief's worst nightmare. To get a seat at the Mass one literally needs to reserve pews immediately following the morning Mass and then wait for 7-8 hours. Pilgrim sites typically have Masses going on around the clock, and we could do that as well, and it would be just as awesome as the one Mass. If we have 5 Cardinals at the evening Mass, why night give each Cardinal a Mass starting at 11 am, and give it two and a half hours between Masses. Then the priests and deacons are split up among the 5 Masses, and all the pilgrims who don't even bother showing up for the one evening Mass as it currently exists, could instead attend a Mass at the basilica as part of their March for Life Weekend. Objection 1: There is only one Basilica choir. Response to objection 1: Bring in the four best Catholic choirs from the East/Mid West. 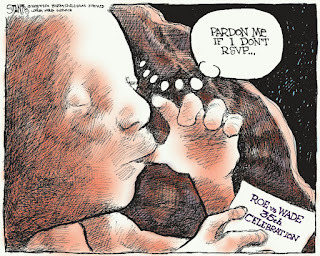 Have it be the American Idol of Catholic choirs where they have to apply to sing at one of the March for Life Masses. Reply to Objection 2: So many people don't go near the Basilica because they know it will be packed and their kids will be stuffed in a basement watching it on TV. If people knew they could get a seat at a vigil Mass without waiting 7 hours, I guarantee that a lot more people would come to the Basilica and the 5 Masses would be nearly as full as the one Mass currently offered. Response to Objection 3: Does the procession need to be a half-hour? Is the effect really lost if instead each Mass had a Cardinal, 20-40 bishops, and hundreds of priests? Is a 10 minute procession that much less triumphalistic as compared to a 35 minute procession? I would submit that most kids would be pretty excited to see a cardinal and what would still be considered an impressive amount of the Church's hierarchy split 5 ways. If we could have 5 packed Masses where 5 times more people get to experience Catholicism to the max, why would we just do it one time? 2) The day of the March: we have to have 2-5 speakers who are AWESOME, and well-known, and will do a great job. D.C. is always freezing in late January, yet currently the speeches go on for hours, every single person who is pro-life in the country seems to get 5 minutes at the mic, and every denomination and theology gets a crack at speaking against abortion...consequently no one really cares. The March never starts on time, usually missing the gun by over an hour and a half. Planned Parenthood doesn't have rallies with hundreds of speakers that starts at noon, give or take 2 hours. Be clear on the schedule. "Our AWESOME lineup of four speakers will start at ______ pm. The March will start at exactly ______ pm. There will be no lag time." Because the March is so chaotic, although they advertise a start time of 1:00 pm, I've learned from experience that if you get to the Washington Mall at 1, you will be standing around for at least an hour and a half listening to the representative from Wyoming and a hundred other people talk endlessly. Experienced marchers know that they should simply arrive at 2:30. That would change if the March were better organized, more efficient, and the fat trimmed from the pre-March program. St. Peter to a priest at the pearly gates: "Welcome Father, let me just pull your file...this will only take a minute...okay...it says here Father that you preached on the weekend to an average of 1200 people...is this correct?" Deceased Priest: "Yes, your deceased saintly holiness it is; 1200 people." St. Peter: "Did you know about the internet my son?" St. Peter: "How did you do in math classes, my son?" St. Peter: "So you knew about the internet, and you understood math...hm...any reason that you didn't heed Pope Benedict's call to evangelize on the internet? 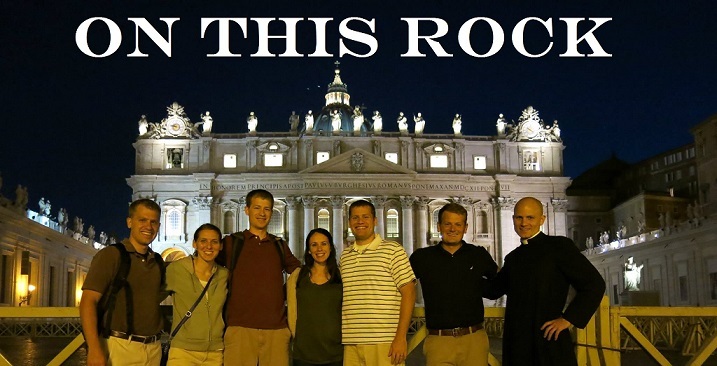 Any reason you didn't have a kid in your parish spend 5 minutes putting your homilies online?" Priest: "Well...I was afraid it would seem narcissistic...I was afraid it would change me...I was afraid I might become too popular...I was afraid I might start doing stuff just to draw attention to myself...I was afraid.."
St. Peter: "Okay Okay, I got it. 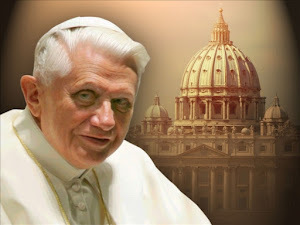 Did Pope Benedict encourage internet evangelization only if you weren't afraid of it?" St. Peter: "You do understand that you reached 1200 people on a weekend, and for no less effort on your part you could have reaced 7 billion people right? Do you know that 7,000,000,000 divided by 1200 means that, through no less energy on your part you could have reached 5,833,333 TIMES MORE PEOPLE?" Priest: "I never thought of it that way." St. Peter: "Do you know who DOES realize the power of the internet? COMPANIES working simply for EARTHLY PROFIT...which is why Christ said to imitate them in certain ways, to be "shrewd as serpents and innocent as doves." St. Peter: "You get 20 days in purgatory to think about how you didn't follow Pope Benedict's instruction to blog and evangelize on the internet. For your time in Purgatory, you are to watch every Planned Parenthood video online and study the behavior of an organization that DOES understand how to evangelize to the young and spread a message and convert people to their side, and you are to reflect on all the opportunities you missed out on. Also, pray that the priests still in the field don't make the same mistake you did. See you in 20 days." Monday - The Church has been celebrating the martyrdom of St. Agnes for 1700 some years. She was told to give up her virginity and she'd be spared. She said, "no thank you." At her public execution, a little girl, who ought to have been frightened by the horror of her pending death, is said to have stared death down quite calmly, while the executioners, who ought to have been quite calloused, were the ones said to tremble at the prospects of chopping off young Agnes' head. Sounds kind of like the stories we've heard from former "nurses" at abortion clinics - the ones who are most often trembling, even in our self-confident, sterile, and "humane" abortion clinics, are more often than not the "strong" and the "composed"
Tuesday - the next day we keep a solemn vigil as a Church for our nation as we mark another anniversary of the Roe v. Wade decision which has since sent 55,000,000 Agnesses to their deaths. 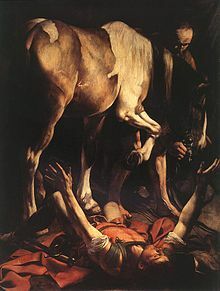 Friday - the day that hundreds of thousands march in D.C., and tens of thousands march in other cities across the U.S., the Catholic Church will celebrate, for approaching the 2,000th year, the annual Feast of the Conversion of St. Paul. As marchers march for life hoping to sway the hearts of madmen who, from an earthly perspective, will never change their ways, the Church will be celebrating the conversion of perhaps the greatest enemy She has ever faced to date in Her 2,000 year history...Saul of Tarsus...a fact that ought to give all of us great confidence...and a reminder that beyond the machinations and vision of the lords of our world, we bring much more to the battle than megaphones, creative posters, and speeches. Here comes the Catholic Church!! John Harbaugh likes the intellectual tradition of Catholicism and the reverence of the Mass. "I don't care that Lance cheated, he's helped so many people with cancer." This is certainly an understandable sentiment. We all know people taken by cancer, and so anyone who brings awareness and fund-raising clout to the fight is a most welcome participant. But, as with all sin, Lance's lies didn't just affect himself. It can't be said "well, he has to deal with his lies and get right with God." Lance crushed people to keep the lie going. He trashed people's credibility, tore people down, etc. Most people, again as evidenced by talk radio on a day-in day-out basis believe something the Church considers VERY problematic...most people believe that the ends justify the means. That is to say that most people believe the results are what matters, and if you have to break a few rules along the way, well, that's okay. "The inversion of means and ends...make Christian conduct in keeping with the commandments of the divine Law-giver difficult and almost impossible." I had philosophy and theology teachers in college try to beat it into us that "the end justifies the means" that "the H Bomb being dropped on Hiroshima (bad means) was justified in the end because it probably would have saved more lives (good end)", that "a Jewish woman hiding in a basement from the Nazi's should kill her screaming baby (bad means) to save herself and her other children (good end)" etc. etc. Why would thinking ends can justify means make it almost impossible to follow God...because as any teenager can tell you, if the ends justify the means, then pretty quickly Anything goes, as long as this long line of actions of mine is justified by something positive at the end. This is an important thing we have to help people begin to understand again - the ends can't justify the means...even if the end is raising lots of money for cancer. The end result is great, the path was not, and the path is not vindicated by the end result. The Catholic Church Strikes Back!!! Why my parish is implementing the Bishops' Five Point Plan to fight back against all those attacking the Church these days. HERE COMES THE CATHOLIC CHURCH!!! Why Was Jesus Unnecessarily Baptized? Blackstone Film's Latest - MUST SEE!!! Blackstone Films (Unnatural Law?) just released a new video for the March for Life, and all I can say is AMEN AMEN AMEN! Here's to this video going viral! The White House has been petitioned to label Catholicism as a "hate group" because of comments Pope Benedict made on Christmas Day during his annual address. Who hasn't seen this coming for a while? The HHS Mandate kicks in for many employers soon, among those continuing to resist include Hobby Lobby, which has stated it will refuse to cooperate. The CEO of Hobby Lobby wrote a BEAUTIFUL letter to his employees which can be read by clicking here. Cardinal George and Bishop Paprocki both issued letters to their flock urging defense of marriage as being between one man and one woman. Read Cardinal George's letter by clicking here. Bishop Paprocki's letter can be found here. 1) we just crossed the 1/3 of a million hits, or the number of times people have visited. WOW! I would NEVER have imagined! 2) Lifesite News listed the "I Have a Say" video of mine as the number 10 pro-life story of the year! Thanks for following the blog, thanks for all the encouragement, and I pray that you have a blessed and happy new year! Coach Lou Holtz tells Catholics - "Get Back to Church...Welcome Home"
This is actually done by a group that is in favor of female ordinations. I think the video actually makes the Church's case though. Let me know what you think.